Este restaurante es conocido porque sirve platos de la cocina japonesa. No olvides comer el famoso sushi rollo de volcán, las singulares gambas en tempura o la sabrosa carne de cangrejo de Sushi Spot. Prueba su bien preparado helado. Pedir un espectacular vino es una estupenda opción. Su sorprendente té te está esperando en este lugar. En este lugar, puedes pedir comida para llevar. Se comenta que aquí el personal es extraordinario. Este restaurante obsequia con un divino servicio a sus invitados. Basándonos en las opiniones de los usuarios, los precios son adecuados. En Sushi Spot podrás disfrutar de su buena decoración y de una encantadora atmósfera. Un 4,5 es la valoración de TripAdvisor para este lugar. Very unpretentious location. Not visible from the road but once you pull off and enter the parking lot it is apparent. The simple exterior and simple dining space belie the quality of the sushi. We seated ourselves and were promptly brought bowls of delicious miso. Then we perused the menu. I got the Sushi Combo Deluxe and my friend got the Ahi Lovers Combo. Both were excellent. Fresh, flavorful meat, nice color, simple yet elegant presentation. The service was a little slow so they brought us out an extra roll as compensation. 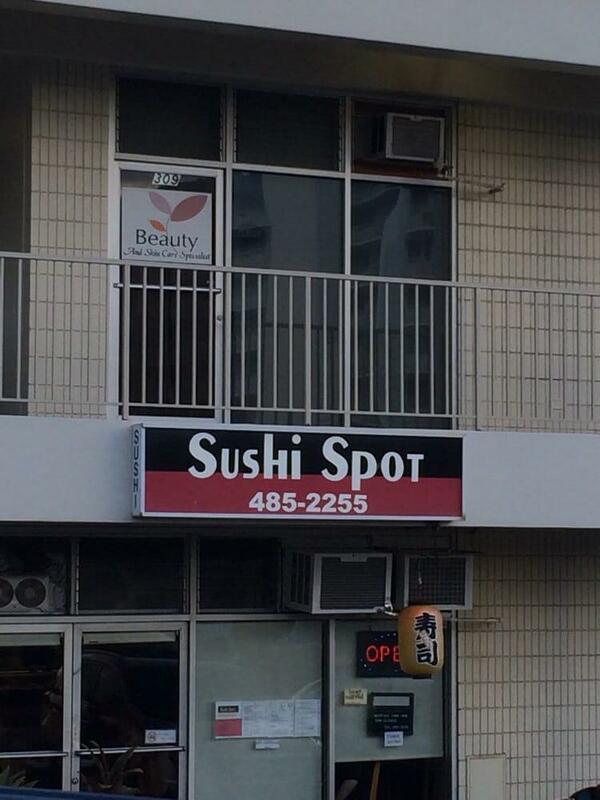 In summary: this is a great casual place to enjoy high quality sushi. Price is decent, service is a bit slow but maybe it's because we were a large group, and food was decent but also wish they offered more gluten-free and kid friendly options. My husband doesn't usually get impressed with sushi, but he was definitely impressed and so was I! A while ago a great friend of mine suggested I eat here and on the rare occasion my husband actually wanted sushi - we decided to check it out. We got there about 7:15pm and there was a line outside. The restaurant left a clipboard outside where people could write their names and be called in order. There were about 3 people in front of us and all parties of two. I guess it's a common spot for date nights, haha. My husband and I watched as customers left the restaurant and the tables sat empty for about 10-15 minutes. There was about 4 empty tables as parties had ended their meals. The staff cleaned the tables and sure enough they knocked out all four couples on their list - including us - and had us all seated in no time. There is only one male server who takes orders in order of how you were seated. We were seated second so he took our order second. There was also an older woman (who, by the way, was THE sweetest woman, ever) and she was refilling waters, passed us the menus, and even gave us our miso soups. After taking our order, it took maybe about 15-20 minutes for our food to come (and in the mean time you can also enjoy the fact they play K-Pop music videos on their televisions, haha). The portion sizes were perfect. 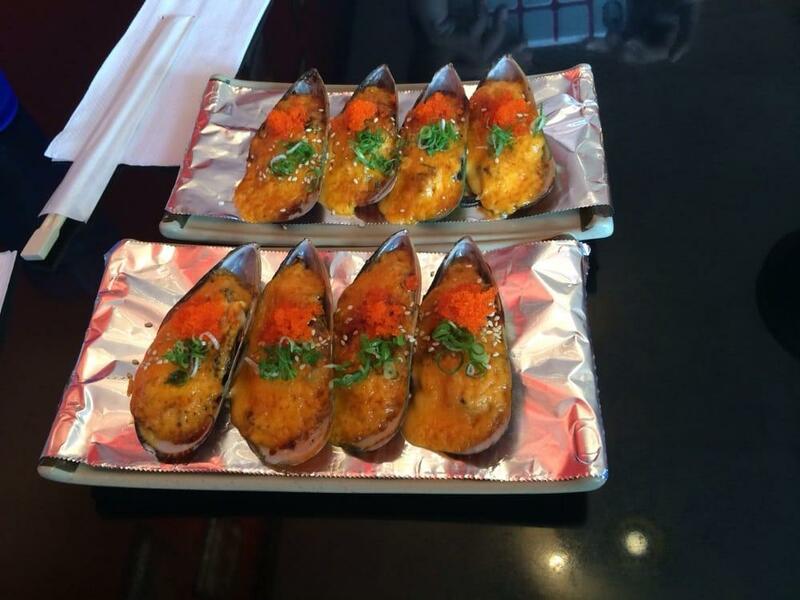 We ordered (2) different kinds of sushi rolls (Dancing Shrimp and Red Dragon) and (1) baked mussel. We felt not stuffed, but satisfied with our meal (we learned our lesson about sushi - your eyes can't be bigger than your stomach). 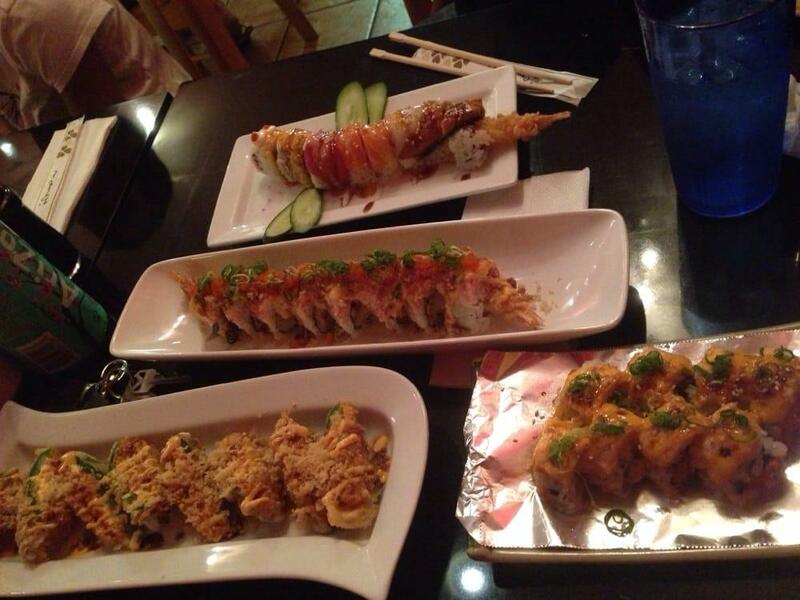 My husband - who is not usually a sushi fan - enjoyed his sushi so much he kept talking about it a few days later! We definitely enjoyed our meal!